Teamwork Arts, with the support of the Consulate General of India in Hong Kong, is presenting the second edition of the Festival of India in Hong Kong – India by the Bay in partnership with Asia Society Hong Kong Centre. The Festival takes place from 24th February to 1st March 2016. India by the Bay brings cultural dynamism to Hong Kong. With a mix of the classical and the contemporary – of music, theatre, dance, food, film and literature, the Festival reflects India’s artistic depth and diversity. The Festival aims to celebrate the common cultural strands shared by the two regions and their multiethnic populace. The Festival presents a heady mix of artistic expression from India through a week long cultural programme featuring a talk session with author and journalist Shobha De, a film retrospective by veteran Indian film actress Sharmila Tagore, an eclectic mix of folk and Sufi music by the world music collective, Rajasthan Josh, lunch with Indian food guru Karen Anand who will take diners on a journey of India’s culinary heritage, a solo act play C Sharp C Blunt that looks at traditional gender roles as engrained by culture, a performance by one of the foremost dance companies of India, The Nrityagram Dance Ensemble and a workshop on Buddhist meditation with Shantum Seth. Film Retrospective by Sharmila Tagore on February 25 at Asia Society Hong Kong Centre, Sharmila Tagore is an Indian film actress known for her work in Hindi and Bengali cinema. She has received multiple awards from the government of India and other bodies. She supports socio-culture and community projects like KATHA, an organization for under privileged women and children that translates regional literature into English. A special feature at ‘India by the Bay’ will be a literary evening Words on Water, with Shobha De on February 26.Shobha is a renowned author of 18 best-selling books, a widely-read columnist, respected social commentator and an opinion shaper. Shobha De has established a strong presence across media platforms during the past four decades. Known for her outspoken views, De is considered an authority on popular culture. Rajasthan Josh is a ‘world music’ collective which creates a mesmerizing performance by combining folk traditions of the north western region of North India. They use instruments like the Morchang, Bhapang Khartaal, Double flute, Nagara & Bamboo flute while incorporating vocal styles ranging from traditions, bhajans & popular folk songs of mystic Sufi Rajasthan. They will perform at the Asia Society on February 27. Lunch with Karen Anand – Karen Anand has been described as something of a food guru, influencing the way people eat and perceive good food in India. She works both in the UK and India and has anchored top rated TV shows for Star TV. At ‘India by the Bay’, she will be taking diners on a journey of India’s culinary heritage focusing on the Indian traditions of farm to table, the principles of Ayurveda and healthy eating and the use of spices in everyday cooking. As she guides diners through a 4 course meal she will talk about defining moments of Indian Culinary Inheritance and the ‘Sixth’ primary taste of food flavors. At the Ovolo Southside on February 27. The Nrityagram Dance Ensemble, regarded as one of the foremost dance companies of India, takes to the stage at the Asia Society Hong Kong Centre on February 28. This highly sought-after Ensemble has performed at the Edinburgh Fringe Festival, from New York to Hawaii in the US and in Denmark, Holland, Portugal, the Middle-east, Singapore and Japan. 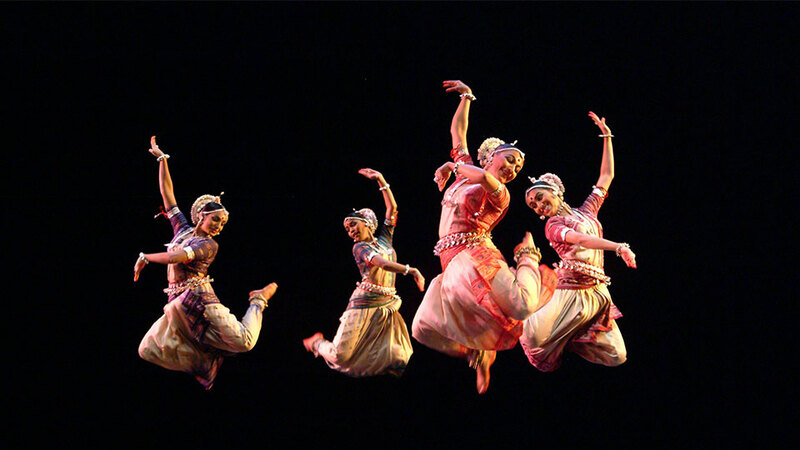 Nrityagram blends Odissi, a classical Indian dance, with contemporary concepts to transport viewers to enchanted worlds. Odissi is characterized by sensuousness and lyricism and with movements that reflect the motifs of Orissa temple sculptures. It captures drum rhythms, melodies, as well as the poetic meaning of songs taken from the vast canon of Oriya music. At the Asia Society Hong Kong Centre on February 29, is an offering by Germany’s Flinntheater, ‘C Sharp C Blunt’, the Indo-German collaboration that explores the realms of digital dramaturgy, repetition and user choices to create a new, hybrid form of theatre-meets-performance art. This one-woman show is a witty, humorous and satirical interrogation of what it is like being a woman in the entertainment industry today. In The Footsteps Of The Buddha – An immersive workshop with Shantum Seth which includes a meditation session and a conversation about the Buddha and the Buddhist trails shared by India and China. The need of the hour is empathy and compassion and Shantum will explore how Buddhism reflects these values on March 1.